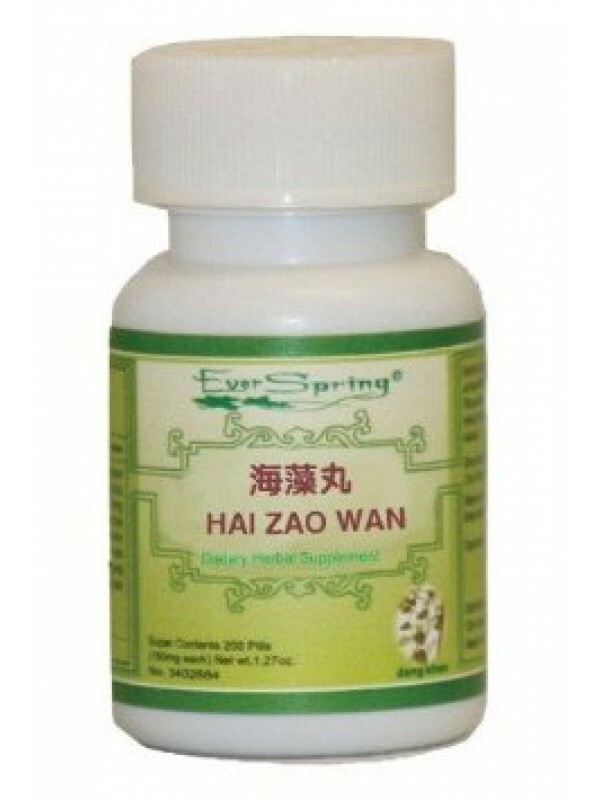 Hai Zao Wan (Chlorella Combo Pills) – 200 ct. Product Code: Hai Zao Wan (Chlorella Combo Pills) – 200 ct. In Traditional Chinese medicine this herbal formula translates as Chlorella Combo Pills, which helps to eliminate phlegm and soften masses, and remove goiter. The Chinese herb is used for goiter due to Qi stagnancy and accumulation of phlegm caused by disturbance between the liver and spleen. This product is not intended to diagnose, treat, cure or prevent any disease.